Smartphones have become the modern-day swiss army knife and solve so many of our everyday problems, and our dependency on it has become frightening. Our relationships with our Smartphones continue to grow stronger as it continues to become the preferred communication medium and access point to the internet. Handset manufactures realise that consumers needs are continually changing and the dependency on their handsets means their products need to continue to be innovative and robust to handle constant everyday use as well as a few mishaps along the way. We've all seen the mobile phone evolve over the last twenty years into the Smartphones we have today, and improvements on technology and design continue to this day with consumers always wondering what will be the next trend or big thing in Smartphones. Well, it looks like the next trend is about to arrive in 2019 with Huawei leading the race with a new concept with the foldable phone. 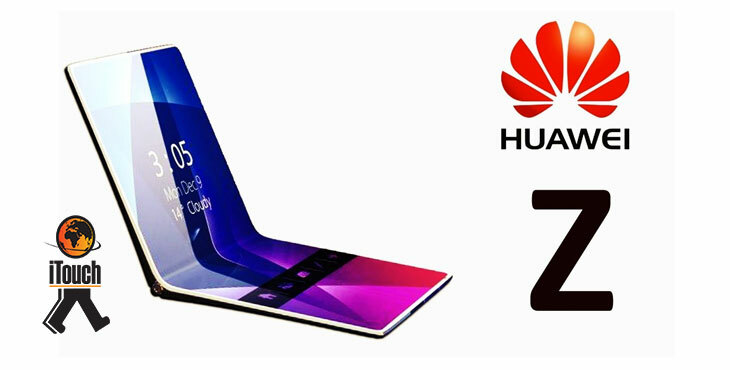 While many brands have begun the process, Huawei seems to be the only brand to confirm the launch of their first foldable phone at the end of February 2019 at the Mobile World Congress. What is a foldable phone and why is it attractive? A foldable phone is a display technology that will allow for a tablet-sized screen to fold into a device that approximates the size and shape of a Smartphone. This will provide users with the convenience of size without the excess space. The foldable phone will have dual screens on each side, the large screen becomes active when unfolded and the smaller screen becomes active when folded. When will foldable phones be available? There has been no confirmation on when it will be available. 2019 seems to the starting line for many brands to release their foldable phones, but these are only concepts and may not enter production and retail for quite some time. Leading competitors such as Huawei, Samsung and iPhone have given sneak peeks into what we can expect from them creating a buzz for what is to come. What do you need to know about Huawei’s foldable phone? While Huawei may be percieved the latecomers in the Smartphone race, they certainly have made for themselves as one of the brands to keep your eye for innovative and quality technology. But that’s not the only foldable smartphone that will could be announced this month. Huawei confirmed that it would unveil its foldable device equipped with 5G support, on February 24th, a day before Mobile World Congress officially kicks off officially in Barcelona, Spain. If one compares this phone with Samsung’s foldable Smartphone, the image reveals Huawei’s foldable phone will have the main screen facing outwards when the device is folded and used in Smartphone mode. While the Galaxy F’s main screen disappears inside the device when you fold it. Then it has a smaller screen on the outside that lets you use the gadget in phone mode. Meanwhile, Xiaomi surprised everyone earlier this month when it showed off its foldable Smartphone concept on social media. Xiaomi’s demo already looks better than anything else we’ve seen when it comes to foldable smartphone technology, though we’re still waiting for demos from Samsung, Huawei, and others. It looks like 2019 is about to kick off a brand new Smartphone trend, and foldable phones could be the next frontier for personal digital devices, or it could merely be a fad, only time will tell. If you enjoyed this article, then you may also like other posts where Huawei Smartphones were mentioned.